IntuitiveTEK is a trusted advisor in accounting and ERP solutions. Through a consultative approach, we help organizations improve business operations and financial results through more efficient use of ERP systems and process optimization. We replace reliance on manual techniques with automated systems that are both user-friendly and process savvy to handle your most complex and fast moving requirements. IntuitiveTEK is a trusted advisor in the area's accounting and ERP solutions. Through a consultative approach, we help organizations improve business operations and financial results through more efficient use of ERP systems and process optimization. We replace reliance on manual techniques with automated systems that are both user-friendly and process savvy to handle your most complex and fast moving requirements. Doug serves as the Vice President of Accounting Solutions for Intuitive Technologies, LLC, a business consulting organization in the areas of financial consolidation, budgeting, planning, forecasting, reporting and analysis. Through a consultative approach, Intuitive TEK helps organizations improve their business operations and results through more efficient use of ERP systems and process optimization. Intuitive TEK is a strategic partner with Adaptive Planning. 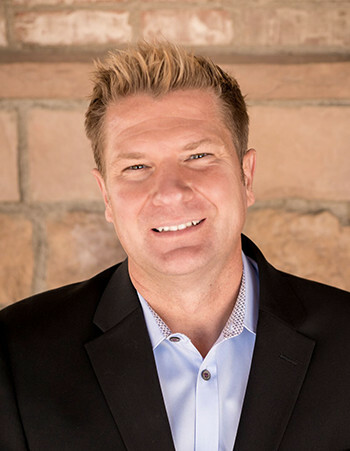 Doug also serves as the President of Intuitive Solutions, LLC which was started as a division of Intuitive TEK to run a Cloud ERP practice using the same successful model as Intuitive TEK’s Adaptive Planning practice. Doug started his professional career as a Controller for a $10 million construction company in Dallas. After moving back to Denver, Doug worked as a Controller for a joint venture of a billion dollar, integrated energy services company, Kinder Morgan, offering state of the art consumer goods and services to utility companies nation-wide. It was during his tenure with Kinder Morgan that Doug assisted in selecting and implementing his first ERP solution (JD Edwards). After staying in touch with the JD Edwards partner (MSS Technologies), Doug was eventually asked to come on board as a Senior Financial Implementation Consultant in 1998 because of his ability to quickly understand the systems processes and relate them to business solutions. Throughout his time with MSS, Doug continually participated in pre-sales activities furthering his sales skills. In 2005 Doug was asked to take the role of Account Executive selling Oracle application software to small and medium sized prospects. Uniquely qualified, Doug is able to act not just as an account executive but as a consultant during the sales process. Doug was a part of a partner team that was awarded the Top Reseller in the Rocky Mountain Region three years in a row; no other partner had won this award three years in a row. Before joining Intuitive TEK, Doug spent nearly two years as a Business Development Executive at Perficient (NASDAQ PRFT) selling IBM Analytics software and services to mid and large sized organizations. 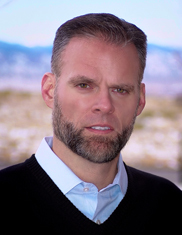 Brian serves as the founder and President of Intuitive Technologies, LLC a business consulting organization in the areas of financial consolidation, budgeting, planning, forecasting, reporting and analysis. Through a consultative approach, Intuitive TEK helps organizations improve their business operations and results through more efficient use of ERP systems and process optimization. Intuitive TEK is a strategic partner with Adaptive Insights. Brian started his professional career as an auditor with the national audit firm BKD and then as the Controller of a division of a Communications firm. This accounting background gave Brian the skills to transition to ERP applications consulting. Brian started this career move at JD Edwards as a Financial Applications Consultant and then at the JD Edwards partner MSS Technologies. MSS Technologies was the exclusive reseller for JD Edwards in the Rocky Mountain Region. As a consultant, Brian also worked with the SAP BusinessOne accounting system and Hyperion’s Planning product. Over the past 15 years of working with financial software applications, Brian has always played the role of pre-sales consultant. In this role Brian learned how to match a prospect’s needs to the right configuration in the application and present this solution in a way that is often been described as “High Energy”. In 2006 Brian took on the role of Account Executive selling Oracle application software to small and medium sized prospects. Using his background, Brian is able to act not just as account executive but as a consultant during the sales process. Brian was a part of a partner team who was awarded the Top Reseller in the Rocky Mountain Region two years in a row; no other partner had won this award two years in a row. Jacob is a senior developer. His solid development background and business and project management know-how allow him to create and manage stellar solutions for clients. As an implementation consultant, Jake brings his financial and accounting experience to expertly guide implementations and deliver outstanding support to clients. As an application consultant, Alex utilizes his ERP knowledge to help gather requirements, guide implementations, improve business processes, and support clients.